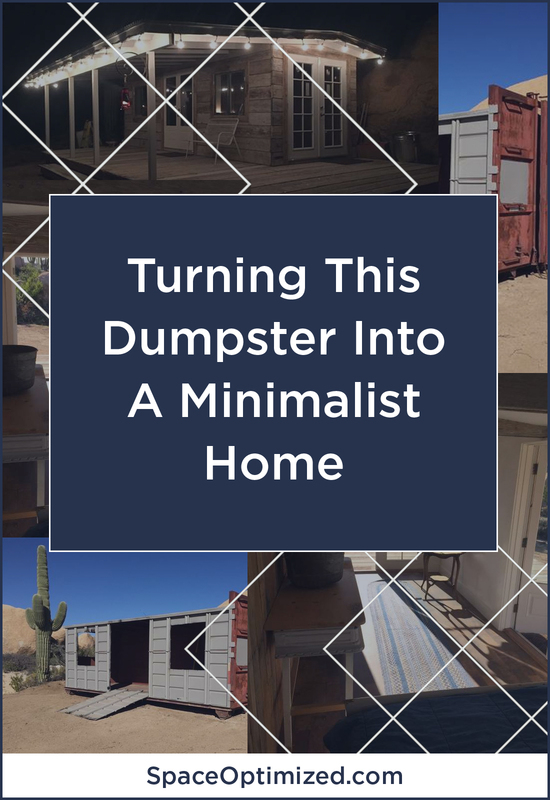 Just when you thought you heard everything, here come a couple of designers who turned an actual dumpster into a minimalist house. The best part? You can’t even tell the 176-square residence used to be a garbage pit. 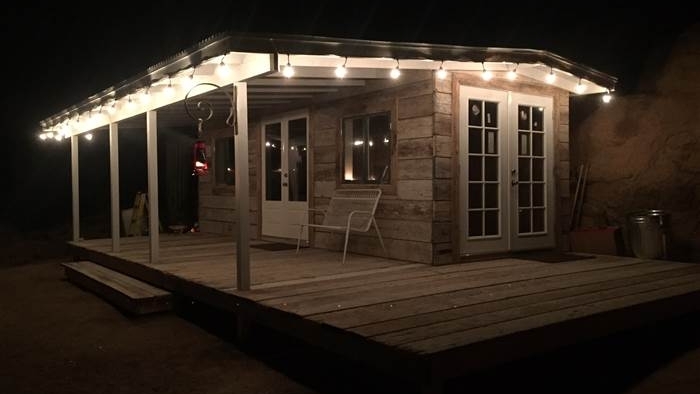 Jamie and Brad Bigelow say The Tiny House Movement inspired them to turn trash into treasure. According to the Bigelows, they’ve always wanted a vacation home in Florence, Arizona. Together, they love to spend the nights stargazing but building a getaway residence is expensive. 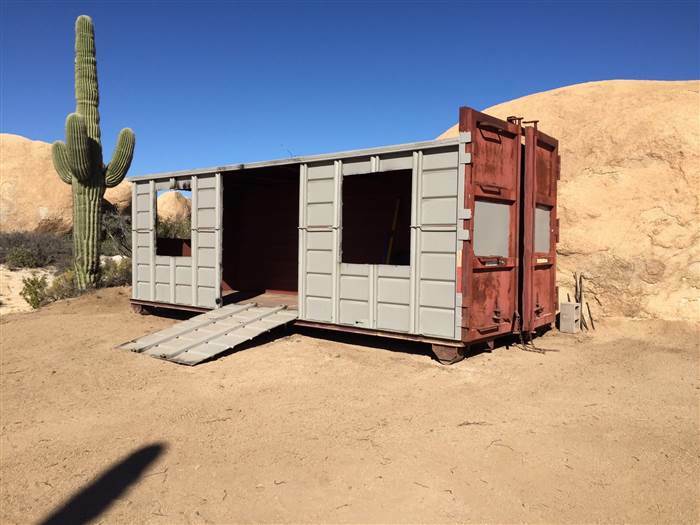 Instead of blowing their life savings on a vacation home bought a rusty ol’ dumpster. He rounded up his brothers and nephews and got to work on their dream hideaway. Drywall was installed to cover the dumpster’s corrugated metal walls. Openings were added for the doors and windows. 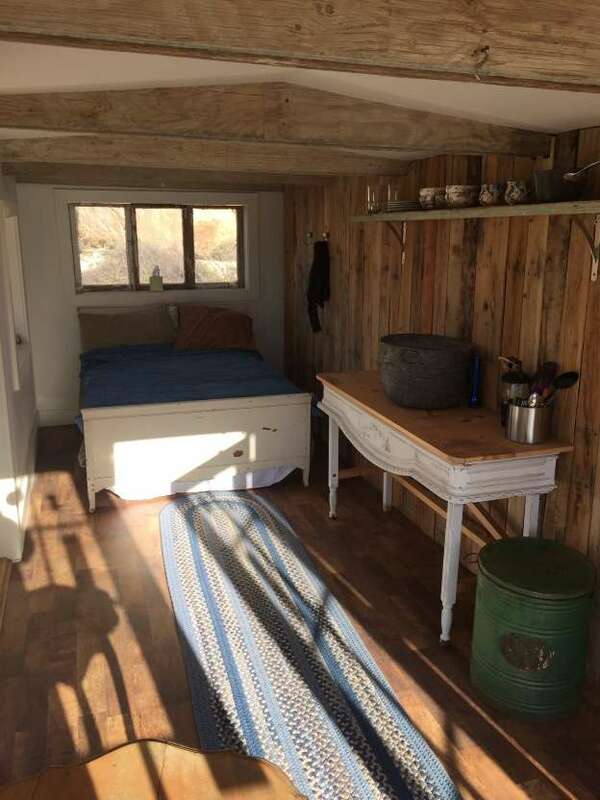 A wood-burning stove was also installed inside. It keeps the indoor temp warm during chilly nights. Outside, a sprawling wood deck was built using scavenged scaffolding planks. 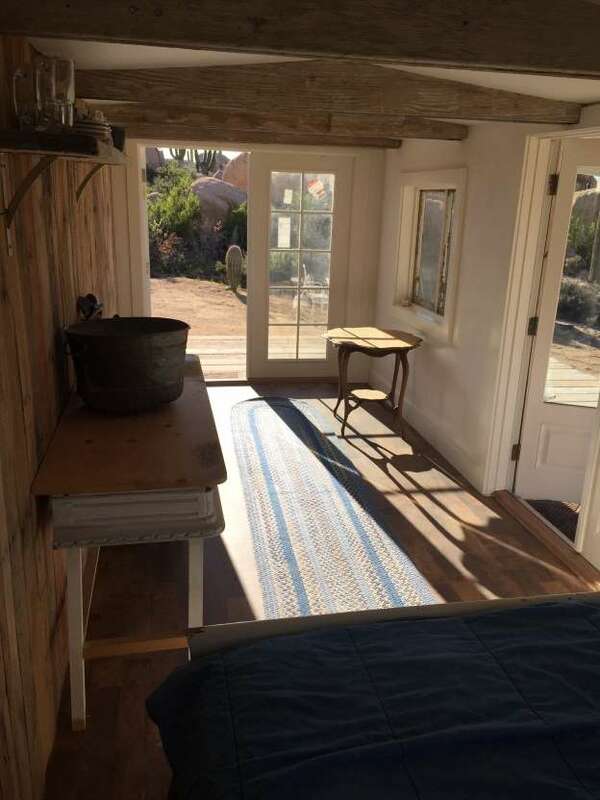 The modest space can only fit a small bedroom and living area. There is no electricity or running water so an outhouse has been installed next door. 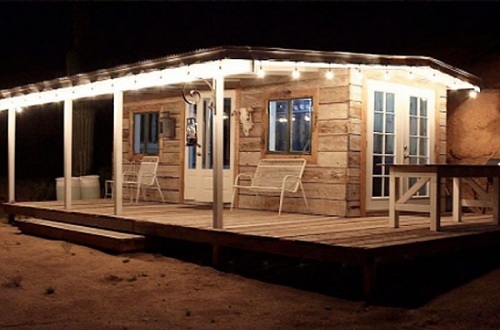 Crafted from salvaged or repurposed wood, the furnishings are free from frills. Sparse vintage décors were the final additions to the minimalist house. There’s also a small generator for the lights. The couple spent a total of $13,000 on renovations, a small price to pay for a chic dessert dwelling. The Bigelows said cutting the thick metal walls for the door and window openings were grueling for everyone involved. The rigidness of the dumpster made it difficult to secure the sidings and studs as well. Once they were able to install the openings, the transformation went without a hitch. And what a transformation indeed!